When traveling to the DC area, I like to make sure to leave a little spare time for solo exploration. 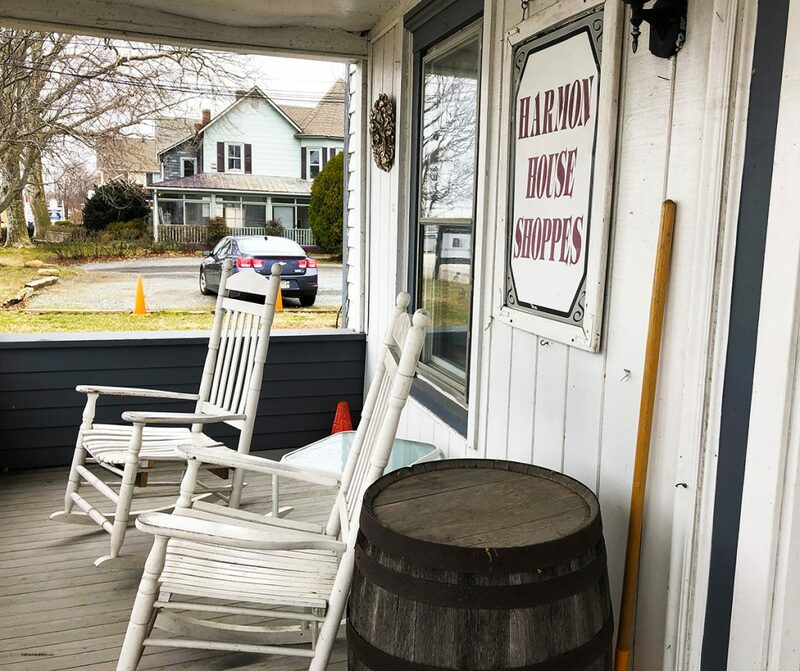 While on a recent visit to the region, I included a brief excursion to the beloved weekend destination of Solomons Island. 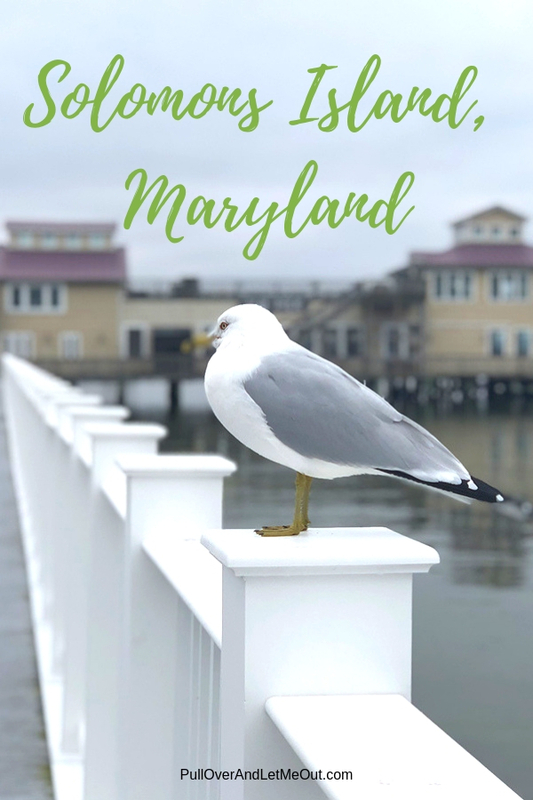 Solomons Island is situated at the southernmost point of Calvert County Maryland where the Patuxent River connects with the Chesapeake Bay. The waterfront town which is roughly 2.3 square miles total area is just about an hour and a half away from the Nation’s Capital. With its scenic waterfront, rich history, and maritime ambiance, it’s a delightful escape on a Saturday afternoon. The town which was known as Bourne’s Island in the late 17th century, then Somervell’s Island in the 18th century received its current name when Baltimore businessman Isaac Solomon opened a cannery here shortly after the Civil War. 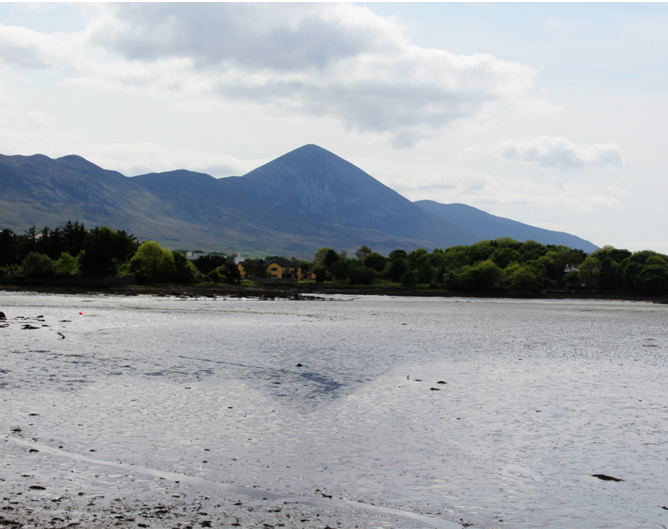 This tiny waterfront village has a storied history worth delving into. From ship-building, mariners, and oysters, a variety of industries has influenced the heritage of the region. Additionally, Solomons Island has seen its share of war and war-related activity. In fact, one of the most famous naval battles in Maryland history took place a few miles away during the War of 1812. Consequently, the small hamlet features multiple museums and is perfect for history buffs eager to learn about the area. There’s the J.C. Lore & Sons Oyster House, a refurbished seafood packing facility, which details the commercial seafood industry and its role in the community. There’s also the Calvert Maritime Museum, the Chesapeake Biological Laboratory Visitor Center, and the Drum Point Lighthouse. Seaguls don't mind having their picture taken along the Riverwalk. My visit was on a cool, gray early March day, but that didn’t leave me without options. The Riverwalk is a beautiful tourist attraction year round. 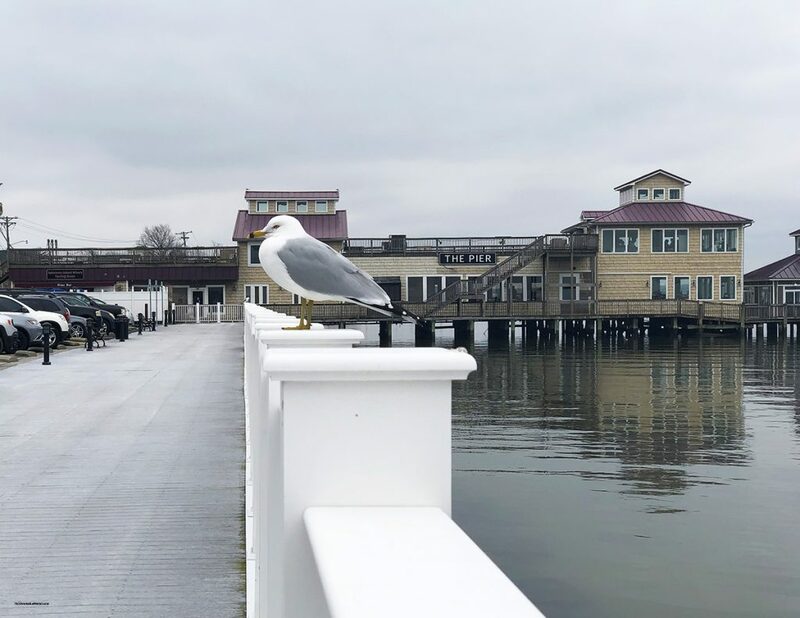 No visit to Solomons Island would be complete without a brief stroll. 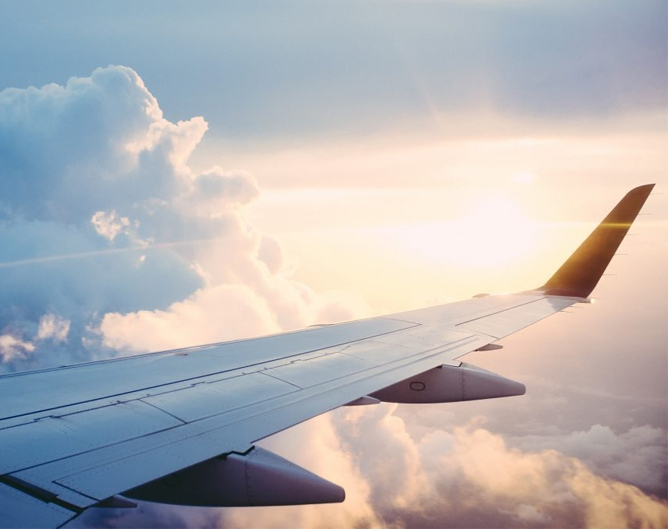 Park the car and enjoy the waterfront views while visiting the ample shops and boutiques where you’ll find a variety of local goods and souvenirs. I went to the tasting room of the Solomons Island Winery. It’s located at the end of the pier. The friendly staff is delighted to help find the ideal Maryland wine to take home with you. There’s also a small outdoor seating area suitable for sipping while enjoying the views from the pier. 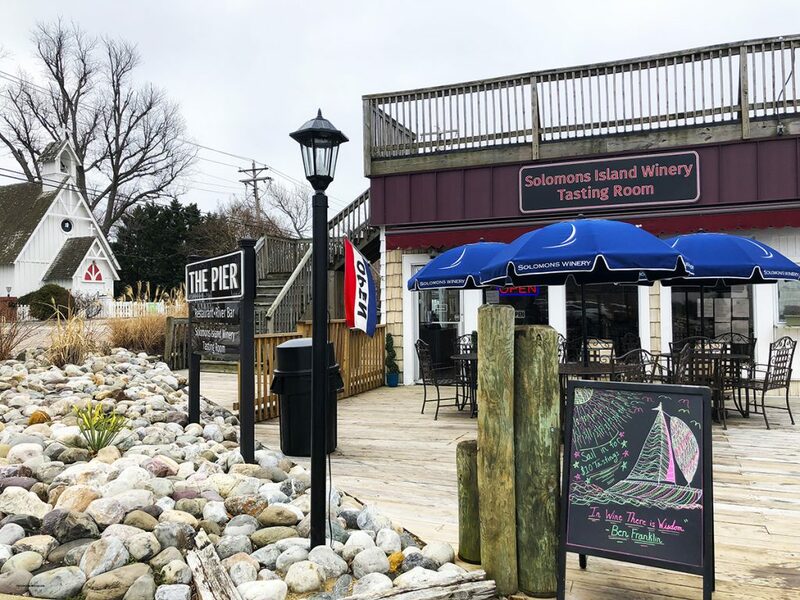 The Solomons Island Winery has a tasting room on the Pier. Charming shops and boutiques are within walking distance of the Riverwalk. Pull Over Tip: Calvert Cliffs State Park in nearby Lusby is an ecological wonder perfect for fossil hunting. 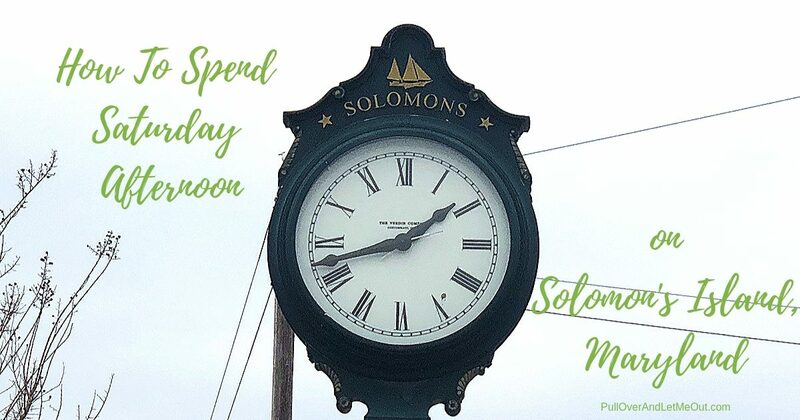 Did I mention Solomons Island is renowned for its oysters and seafood? 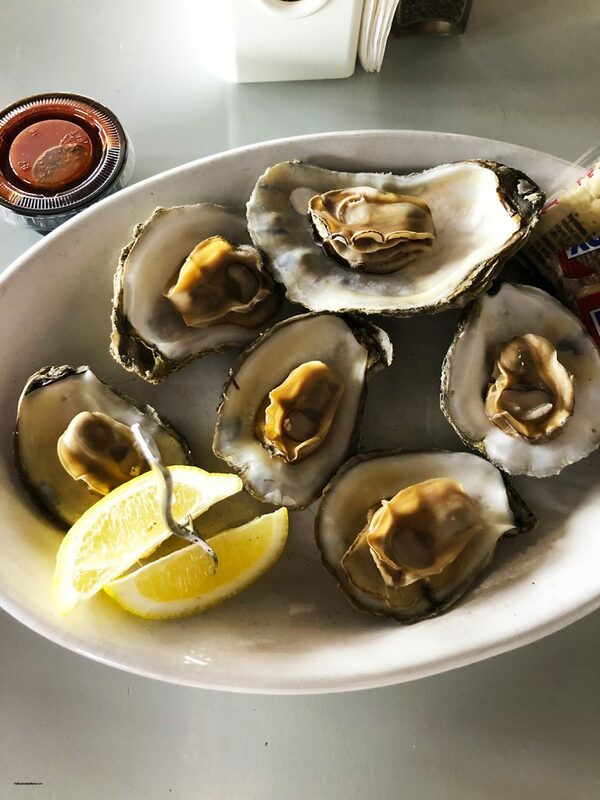 With its proximity to the water and the Chesapeake Bay, it’s not surprising the seafood offerings at Solomons Island restaurants are exquisite. There are a handful of seafood dining options along the waterfront. I stopped in for a tasty bowl of crab chowder and a half-dozen oysters at Stoneys King Fisher. The meal was the perfect complement to the brisk weather. 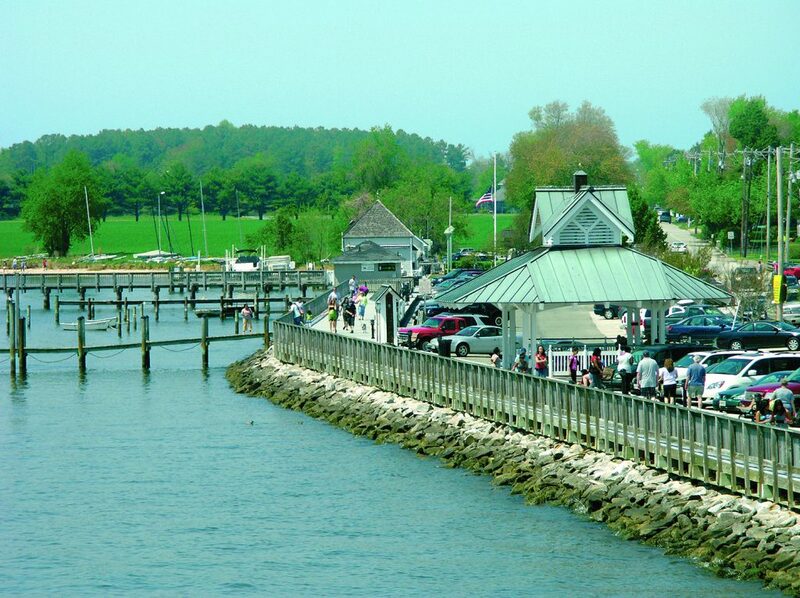 Solomons Island is renowned for its oysters. My trip to Solomons Island wasn’t planned well with regard to fully enjoying the water. That being said, I shall return in warmer months in order to experience the variety of water adventures which await. 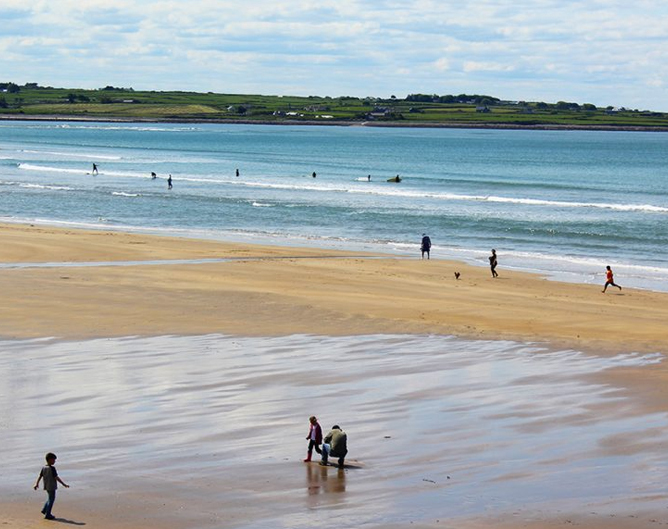 There’s beaches boating, paddling, fishing, birding, crabbing, and much more to be enjoyed along the water. The beautiful shoreline along the Patuxent River. 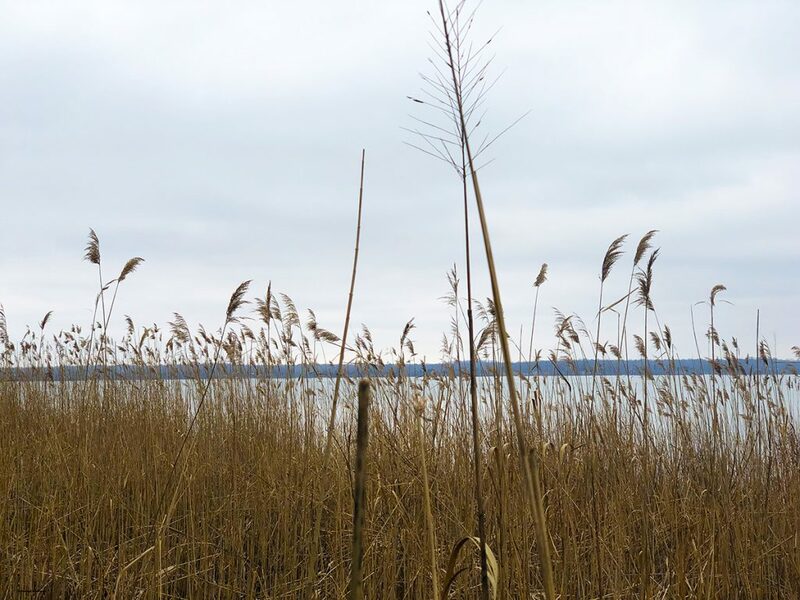 Spending a Saturday at Solomons Island should include one of its nearby parks. Acres and acres of trails and parklands comprise a significant part of the Calvert County landscape. 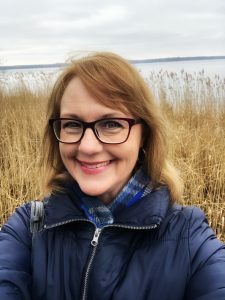 I had the chance to explore Jefferson Patterson Park and although my timing couldn’t have been worse, the visitors center was closed, I did discover the Indian Trail. This fascinating trail takes visitors along an informative path leading to a replica Indian Village. 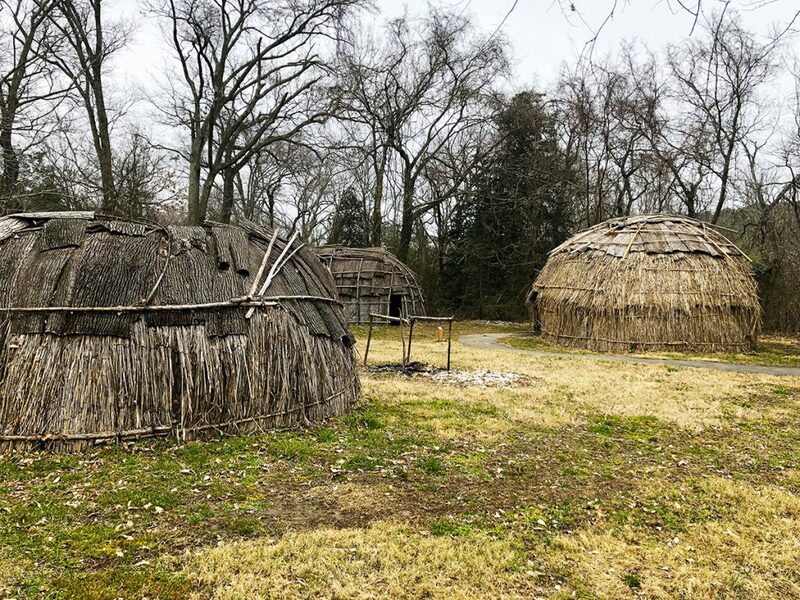 The village depicts what life would have been like for the early inhabitants of Calvert County. This is a Pull Over And Let Me Out pick because it’s such a unique historical trail. Ship-building, oysters, a cannery, a lighthouse, and boats; that’s pretty much all I knew about Solomons Island, Maryland upon arriving. I now understand this quaint town is so much more. The charming historic waterfront town is a lovely destination for an agreeable excursion off-the-beaten-path. Although my stay wasn’t long, I enjoyed time on the waterfront, a brief history lesson, and delicious wine and seafood. 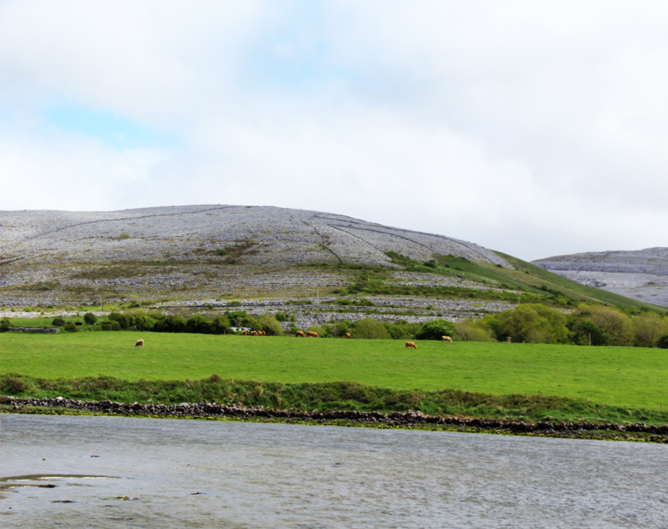 Having spent a few hours on a cold afternoon, I’ve decided this is one of those locations I must experience again. Summertime is beckoning me to make a return trip to Solomons Island, Maryland. Special Thanks to Hilary Dailey of Calvert County Tourism for the tips on what to do and see while visiting!